Register for the Hub City Hustle Triathlon today! Additional race information can be found at http://www.hubcityhustle.com/. Sprint triathlon in its 4th year at the new location. Great race for beginners and veteran racers. We are giving $100 to the fastest swimmer, biker and runner both male and female. Paul B Johnson State Park is the perfect backdrop for our race. Bring your family and a blanket. There will be food for our racers and we have our very own Mississippi artist, Kim Garroway, who makes our custom made prizes. This event is sanctioned by USA Triathlon. Helmets must be worn! All USA Triathlon Rules will be in effect and enforced for the Triathlon. SORRY NO REFUNDS. Please see USAT information below. EACH NON-USA TRIATHLON MEMBER MUST ADD $15 FOR A ONE-DAY MEMBERSHIP TO THESE PRICES. YOUTH AGES 17 & UNDER WILL ADD $10 FOR A YEARLY MEMBERSHIP. Packet Pick up is at Jed’s Endurance Bikes, 37 King Road, Hattiesburg, MS, 601-336-7625. Packets can be picked up on Thursday-Friday, October 3rd & 4th. Saturday pick up at registration at the race site. NO ID, NO RACE, NO EXCEPTIONS! Youth athletes without an ID must be accompanied by a parent/guardian with a Photo ID. USAT members are required to show their annual membership card. Others must purchase a one-day license. Athletes may only pick up their own packets and may not pick up a packet for another person.... Don't forget your helmet! Welcome to the 2019 Hub City Hustle Triathlon! The Hub City Hustle began in 1989 and thrived for over a decade. We have moved the race to Paul B. Johnson State Park so we can grow. Thank you for choosing our race and following us back to this great venue. We thank Ben Hughes, owner of Southern Race Management, for his service to our endurance community through race production and club organization. Thank you to all our volunteers who make this event happen. 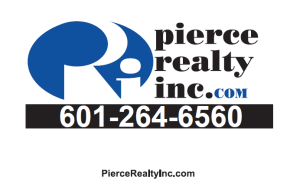 Our team at First Priority of South Mississippi has been working hard to make this race an unforgettable experience for you, your family and friends, spectators and for the Hattiesburg community. We appreciate your hard work in preparation for this event. Please download the attached pdf file for race specific details. 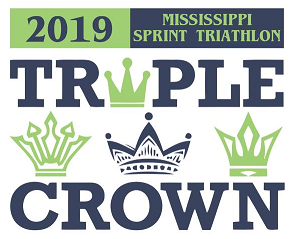 Have you heard about the new MISSISSIPPI SPRINT TRIATHLON TRIPLE CROWN? This newly created triathlon series consists of Traditions Triathlon, in April 2109, Cultivation Nation Triathlon, in August 2019, & Hub City Hustle Triathlon in October 2019. USA Triathlon is the national governing body for the sports of triathlon, duathlon, winter triathlon and aquathlon in the United States. Participation in a USAT sanctioned event means the event director has the proper permits in place, liability and athlete excess medical insurance coverage and the event plan has met the standard of organization required. USA Triathlon provides rules, guidance and governance to set the standard for safe and fair multi-sport races. For more information on USA Triathlon and fueling the multi-sport lifestyle, visit our website at www.usatriathlon.org. UNREGISTERED PARTICIPANTS (Section 3.5) Any person who participates in any portion of a sanctioned event without first properly registering and paying any required registration fee shall be suspended or barred from membership in USA Triathlon and barred from participation in any sanctioned event for a period of one year. Any person who in any way assists another athlete to violate Section 3.5a by providing or selling a race number to that athlete shall be suspended or barred from membership in USA Triathlon and barred from participation in any sanctioned event for a period of up to one year. Any second violation of this Section shall result in a lifetime suspension or ban from membership in USA Triathlon.